Donald Trump’s victory, as well as Brexit, ought to speed up plans for EU defence integration, Germany has said. “Europe needs common political will for more security policy relevance. The outcome of the election in America could provide an additional impetus”, German defence minister Ursula von der Leyen said in an opinion article in the Rheinische Post, a German newspaper, on Thursday (10 November). “The Brexit decision and the election in the United States have set a new course” for the EU, she added. She said it was “difficult for Germany and Europe, on the day after the election, to assess what to expect from a Trump presidency”. She predicted the US would initially turn inward “to heal the tremendous internal turmoil in the country” that arose from Trump’s divisive campaign. She said EU security would depend on Nato and the US, but Trump’s victory meant that Europe, and Germany as “a great nation in the centre of Europe”, would have to be “more self-reliant on security issues”. Von der Leyen spoke of “building a common security and defence organisation” that would stabilise African and Middle East countries so that fewer refugees came to Europe. 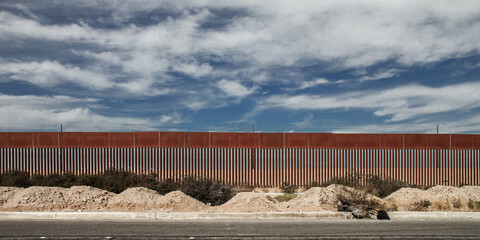 “This is one of the central lessons of the refugee crisis. If we do not take care of the problems, then, at some point, we will face the consequences”, she said. Speaking the same day in Brussels, Federica Mogherini, the EU foreign policy chief and a former Italian diplomat, echoed the German minister. 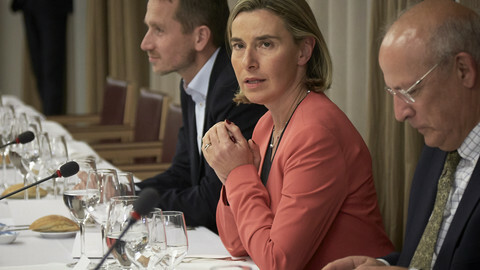 “It's starting to be clear to everyone that we can only succeed in providing security to our citizens if we work together as a true union, with the full potential of a superpower, in the field of security and defence”, Mogherini said in a speech at the European Defence Agency (EDA), a branch of the EU foreign service. She said Nato was “the cornerstone of our collective defence”, but the EU should have “strategic autonomy”. She called for the creation of a command HQ for EU military missions, which she described as a smaller version of Shape, Nato’s command centre in Belgium. Europe should make “better use of our rapid response forces, for instance with flexible deployment of battlegroups”, she added. 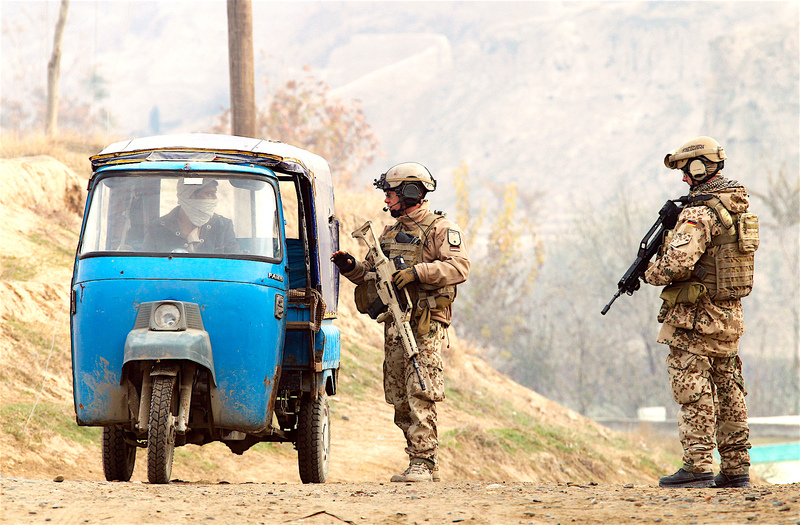 Battlegroups are battalion-sized forces of soldiers from coalitions of EU states. They have existed since 2007, but have never seen military action. Mogherini also said the EDA could coordinate EU defence procurement and R&D to create a military “industrial base”. “Horizon 2020 only covers civilian and dual-use technologies. A continent-wide joint research programme on defence would be a natural extension of Horizon 2020”, she said, referring to Europe’s existing €80 billion science fund. EU foreign ministers will discuss Trump’s victory at a special dinner, called by Germany, in Brussels on Sunday. 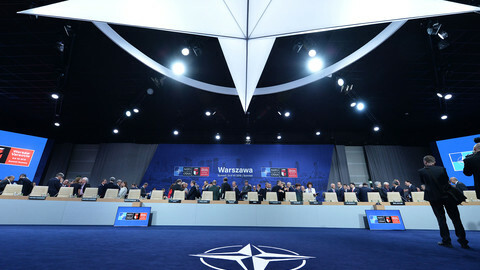 Foreign and defence ministers will also discuss Mogherini's “implementation plan on security and defence” in the EU capital on Monday and Tuesday. Trump, who is to take office on 20 January, has said that he would not defend Nato states which did not pay their fair share on defence and that he might recognise Russia’s annexation of Crimea from Ukraine. 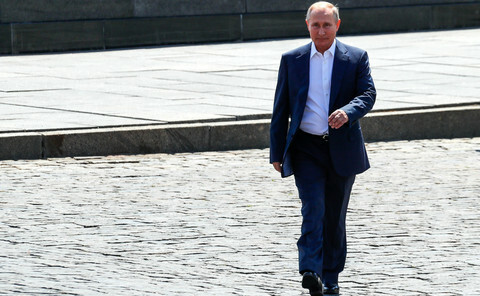 For security experts, such as Mark Galeotti, a US scholar at the Institute of International Relations in Prague, that meant that Baltic states and Ukraine could be left on their own to resist Russia’s “adventurism”. It also meant the risk of a US-Russia confrontation was higher down the line if Russian leader Vladimir Putin tested Trump’s limits. Von der Leyen’s reference to Brexit comes after the June referendum in which the UK voted to leave the EU. Britain was the EU’s top military power and had vowed to block European security cooperation on grounds that it would undermine Nato. France, Germany, Italy, and Spain already called for an EU defence union in October in reaction to the Brexit vote. “To be clear: an ‘EU army’ is not our objective,” they said at the time. Italy and Germany do want an EU "army", according to separate Italian proposals, and according to France, however. Italy, in September, called for a “joint permanent European Multinational Force” that would pave the way for “a future European integrated force”. French finance minister Michel Sapin, speaking at the Tatra summit, a conference in Bratislava last month organised by the Globsec think tank, said: “This is something that is very close to the Germans’ heart - they would like to create a European army”. 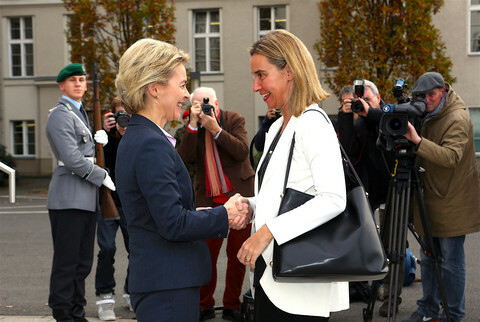 Von der Leyen, in her Rheinische Post article, mentioned Africa and the Middle East, but other German politicians have said EU military integration was also needed to deter Russian aggression. 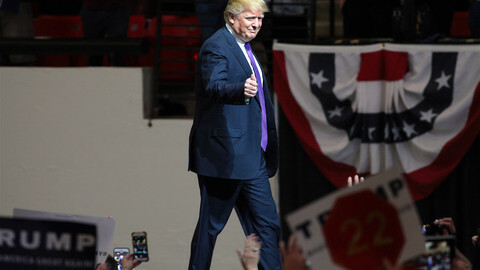 “His [Trump’s] attitude is definitely a threat to the capacity of the West to stand up to an aggressive and nationalist Russia,” Norbert Roettgen, a senior MP in Germany’s ruling CDU party, told the Financial Times, a British newspaper, this week. 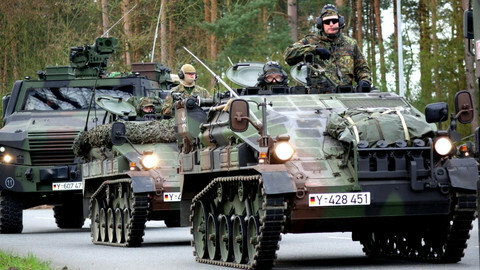 Germany is sending 500 troops to Lithuania in early 2017 as part of a Nato Russia-deterrent force. It is also raising defence spending from €34 billion a year to €39 billion, but is still below Nato’s target of 2% of GDP for allied states. Speaking at a security conference in Munich in 2015, German president Joachim Gauck noted a shift in thinking well before Brexit and Trump. 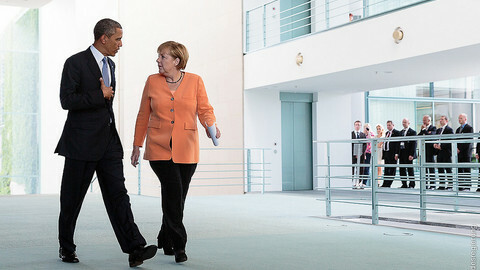 He said Germany should play a more forceful role abroad despite its World War II past. “While there are genuine pacifists in Germany, there are also people who use Germany’s guilt for its past as a shield for laziness or a desire to disengage from the world,” he said. “This [guilt] gives Germany a questionable right to look the other way … Restraint can be taken too far”, he said. The EU aims to create a mini military HQ and to have joint rapid-reaction forces, but the UK says member states should react to Donald Trump’s victory by spending more on defence.